The holiday season is a truly magical time. From the hustle and bustle of shoppers searching for the perfect gifts to the bright lights and classic music, Adam and I absolutely love this time of year. 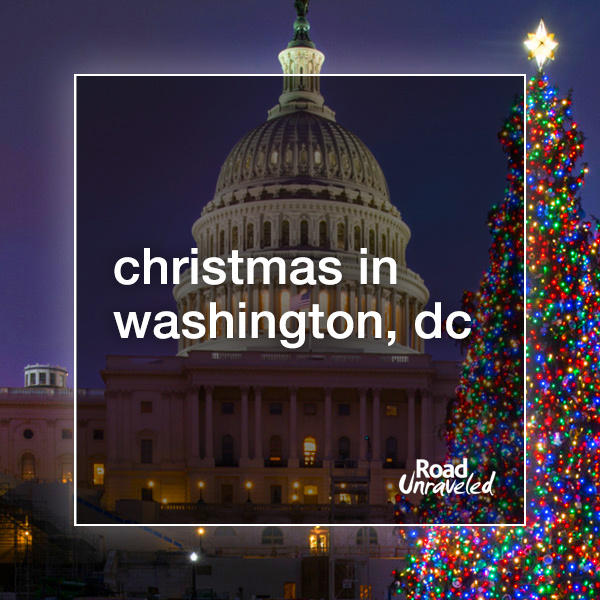 We have spent the last couple of years travelling to enjoy the holidays around the world (including Cape Town in 2014, Reykjavik in 2015, and Porto in 2016), but we can’t overlook our hometown of Washington, DC. 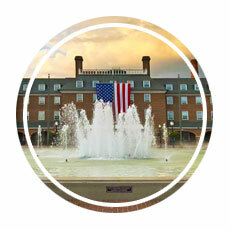 When it comes to fun and festivities, the USA’s capital always gets into the spirit. 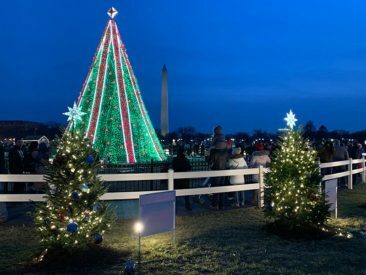 If you’re a DC local or thinking of spending some of the holiday season in our neck of the woods, here are a few of our favorite ways to enjoy what we have to offer! 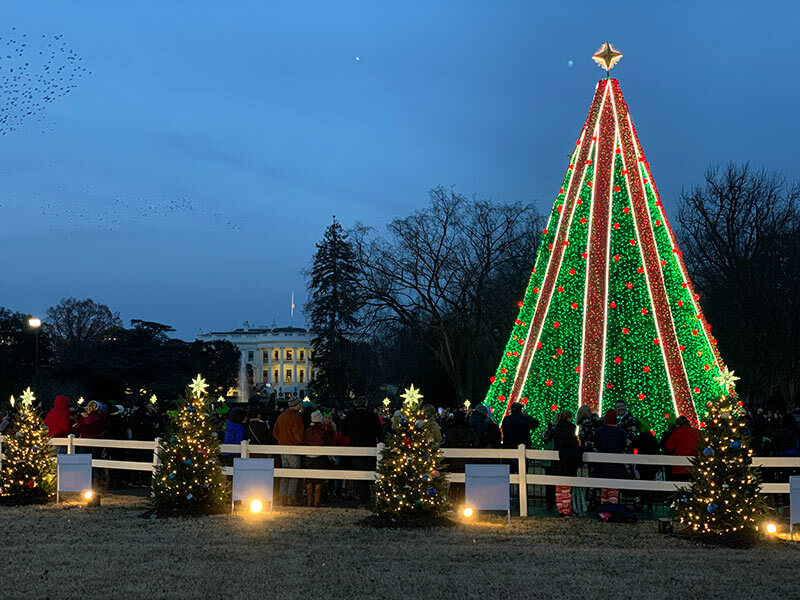 Every year since 1923, people from around the Washington, DC region and around the world have flocked to see the National Christmas Tree, an enormous monument to the season nestled among the monuments to our history. Located on the Ellipse just south of the White House, the National Christmas Tree is lit in early December after making a journey from parts north and west of the mid-Atlantic. 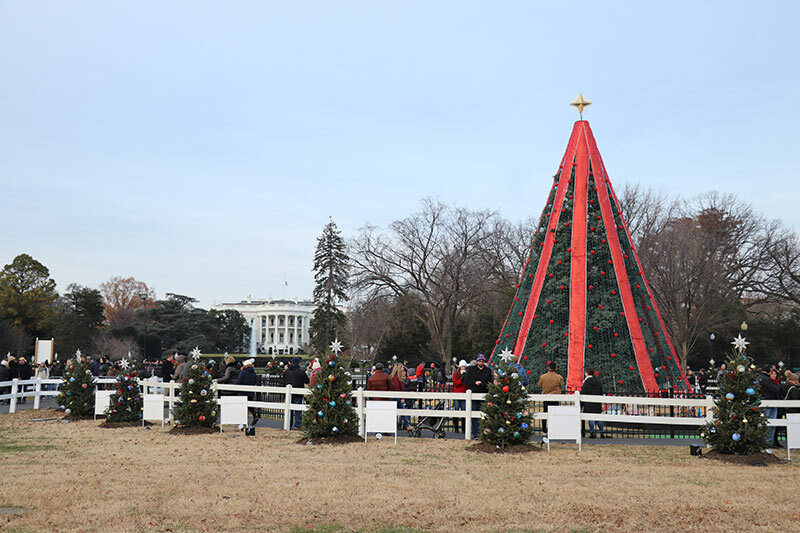 Surrounding the tree are 56 smaller trees—one for each state, the District of Colombia, and the five United States territories—which boast decorations made by artists from each of those places. 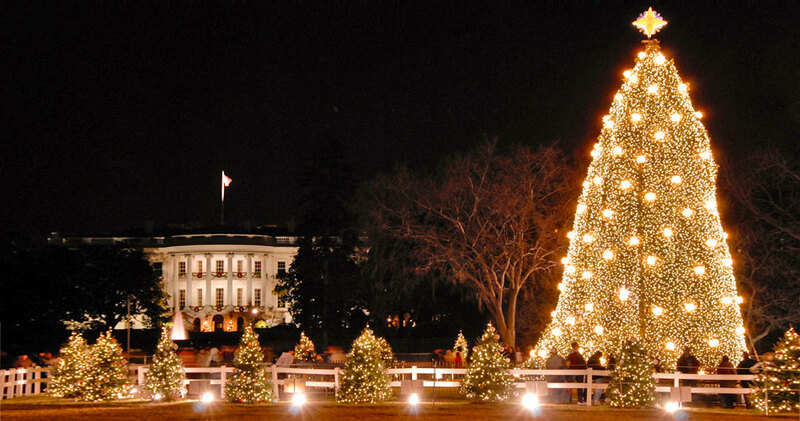 Visiting the National Christmas Tree is free, and it is lit from dusk until 11 P.M. each day. 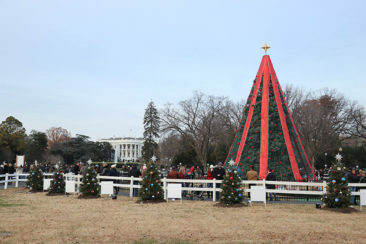 The National Christmas Tree isn’t the only show in town, though! 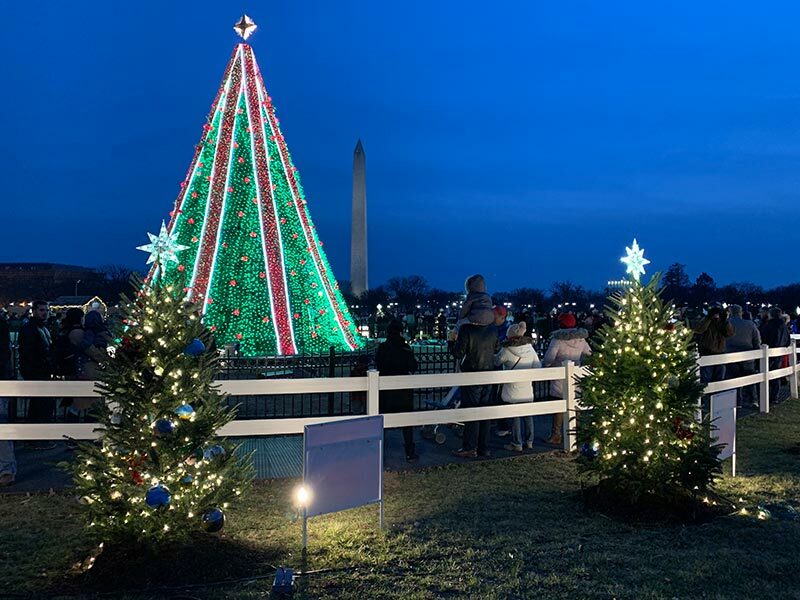 Don’t miss the Capitol Christmas Tree, also known as the People’s Christmas Tree, which stands on the grounds of the United States Capitol each year. 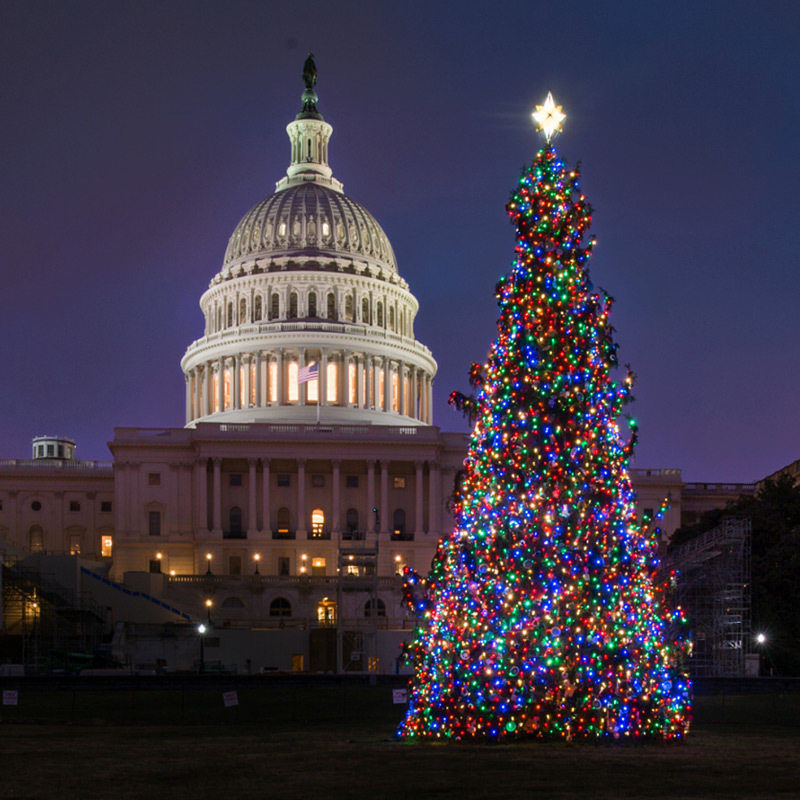 A tradition since 1964, the Capitol Christmas Tree is a bit less visited than its more well-known companion, but it’s just as beautiful and perhaps a bit more peaceful. This year’s tree arrived all the way from Idaho, and smaller versions of the tree were distributed to each member of congress for their offices. 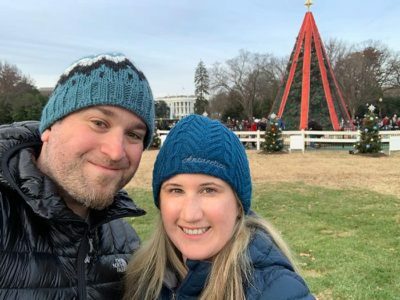 Located just across the river from DC, Old Town Alexandria may be my favorite place in the whole world—as the backdrop to many great nights out with friends and our wedding, we spend a lot of time there. There is no better season to enjoy Old Town than Christmas, though. From twinkling lights dripping from trees to special holiday menus, there isn’t a corner of the neighborhood that doesn’t feel festive. Eating and shopping are by far the most popular activities to enjoy (many restaurants offer seasonal menus, and there are dozens of small business where you’ll find great gifts). 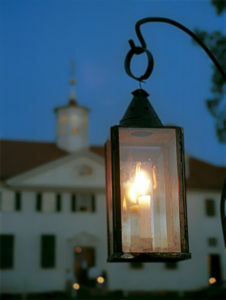 If you are a history buff like we are, check out the candlelight tours that will take you to places like Gadsby’s Tavern (where we got married!) and the Carlyle House. In town on Christmas Eve? Head toward the Potomac River for a glimpse of Waterskiing Santa, who has been taking to the water to spread Christmas cheer for more than 30 years! If you stay until the clock strikes midnight on New Years Eve, Old Town hosts a beautiful fireworks display. 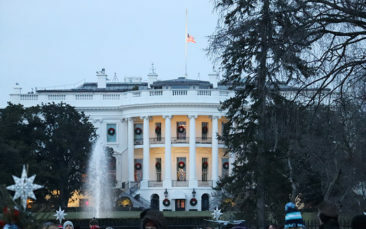 While George Washington’s home is worth a visit anytime, it really comes alive in December. Often, mansion tours include the rarely seen third floor (typically omitted during busier seasons), and special candlelight tours are offered each Saturday leading up to Christmas. 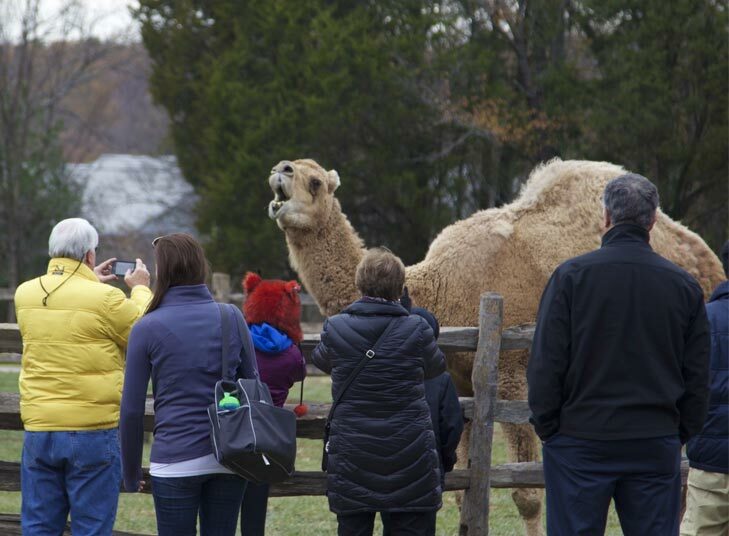 Although it’s typically cold to walk around outside, bundle up and pay a visit to Aladdin the Christmas camel. When Washington lived at Mount Vernon, he had a camel at his estate to entertain children during the holidays, and the tradition continues today. 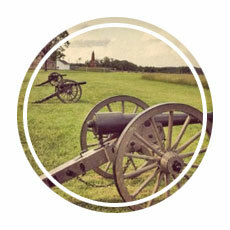 Mount Vernon also hosts daily activities like wreath and ornament making, so there is fun for everyone! Plus, they are open on Christmas day, so if your travels bring you to the area when so much is closed for business, rent a car and spend a day soaking in the holiday spirit in a historical setting! A few years ago, on a whim, Adam and I bought tickets to see A Christmas Carol at Ford’s Theater in downtown Washington, DC, and it is an experience we still talk about to this day. 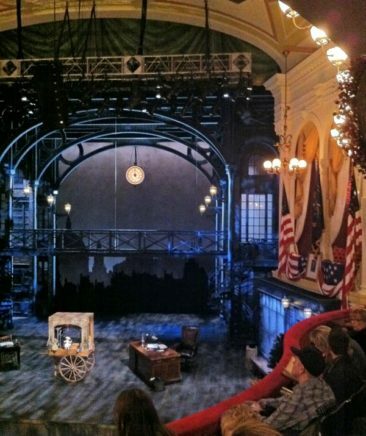 Ford’s Theater is famously known as the location where President Lincoln was assassinated in 1865, and it provides an incredible historical venue to watch what is always an wonderful performance. 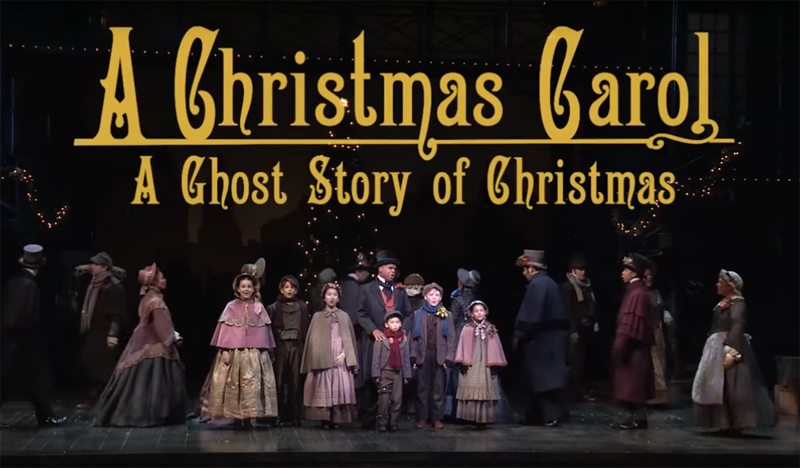 A Christmas Carol is a classic tale, and seeing the live production in a fairly intimate setting will certainly be one of your favorite holiday memories. 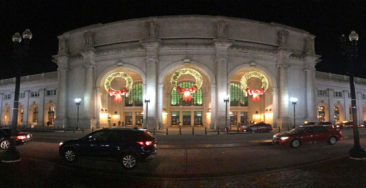 If a night at the theater is something you want to repeat, look to the National Theater or the annual performances of The Nutcracker at the Warner Theater for more opportunities to immerse yourself in the fine arts. 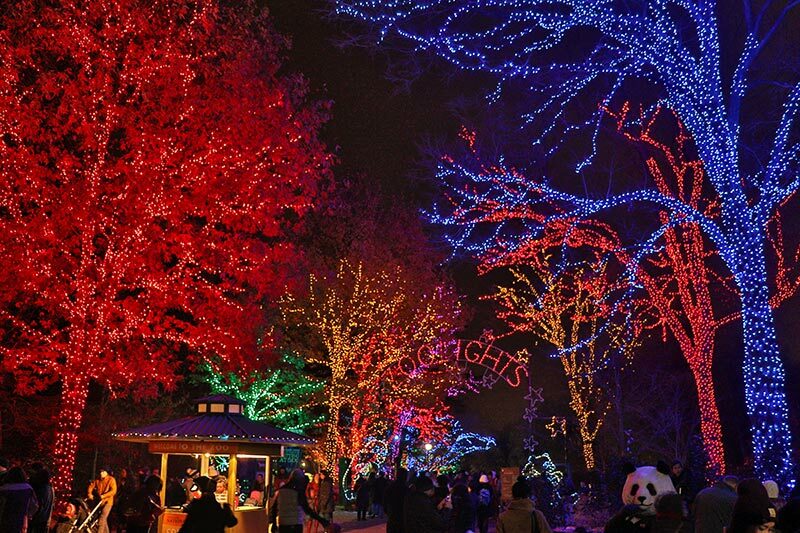 Washington, DC has a fantastic zoo that transforms into a winter wonderland under half a million lights each December. ZooLights is more than just beautiful decorations; you’ll find food, music, and shopping each night after dark. Rides and a special train tour will add to the fun. 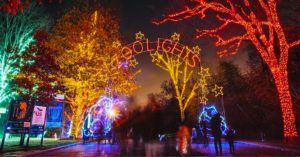 ZooLights is free (although some activities like rides require paid admission), so you can have a pretty inexpensive night out enjoying one of the city’s most loved attractions in a whole new way! 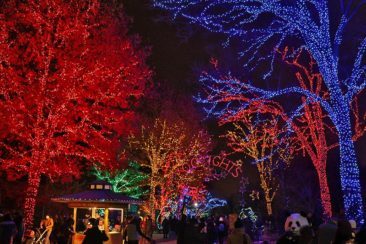 Parking is often unavailable during Zoolights, especially on weekends, so use a ride sharing service or take the Metro. If you choose the Metro, get off at Cleveland Park—one stop north of the zoo. Instead of walking uphill from the Woodley Park station to get to the zoo, you will walk downhill instead. If you take the Metro from Woodley Park when you leave, your trip will be downhill as well! 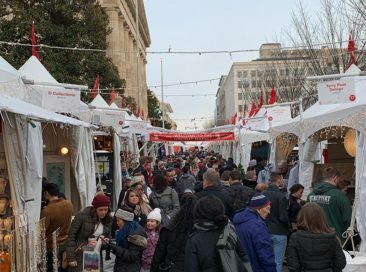 If you are still on the hunt for great, unique gifts for your loved ones, check out the Downtown Holiday Market. The market takes over one street in the Gallery Place neighborhood and places crafts and artwork from more than 150 vendors on display. One of the best Christmas markets in the country, it is situated close to museums, the Capitol One Arena, and dozens of restaurants, so it’s a great place to walk around and find a present or two for the people on your list. You’ll need some patience when you visit; the market is pretty compact with very little space between vendors, and during peak hours you will be shoulder to shoulder with hundreds of people. Consider visiting close to opening and closing hours when fewer people will be shopping. 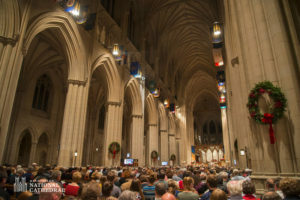 Washington, DC’s National Cathedral is home to some incredible performances and worship opportunities during the month of December. From concerts to candlelight services, celebrating the season here is a very special experience. 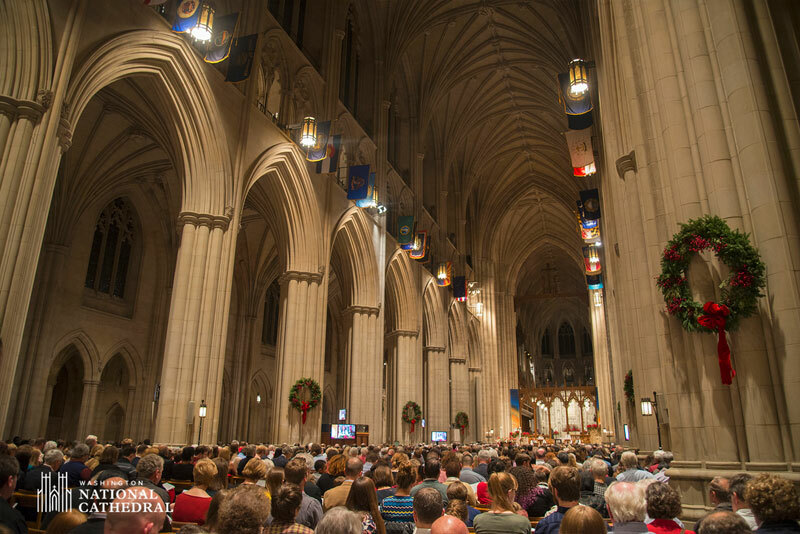 If you plan to attend services on Christmas Eve, you will require passes due to massive interest. However, Christmas Day services do not require any kind of ticket. 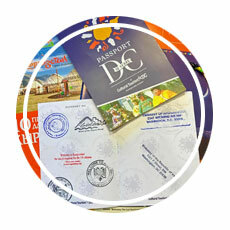 Tours are also offered throughout the month. Consider making the tower climb, which will take you up 333 steps that pass by gargoyles and the massive church bells. As a kid, one of my favorite memories was of my mom taking the long way home a few nights a week during the month of December while driving my sister and I through neighborhoods all lit up with twinkling lights. That might be why I love the Bull Run Festival of Lights, which annually takes over Bull Run Regional Park in Centreville, Virginia- about 25 minutes west of DC. It’s a two-and-a-half mile drive featuring holiday light displays at every turn. Bring along a cup of cocoa, turn your radio to 97.1 WASH FM for some classic Christmas music, and spend an evening enjoying some decorations you didn’t have to spend a weekend setting up in the cold. When the drive is over, stop by the holiday village to enjoy the ferris wheel, carnival rides and games (and maybe one more cup of hot cocoa!). 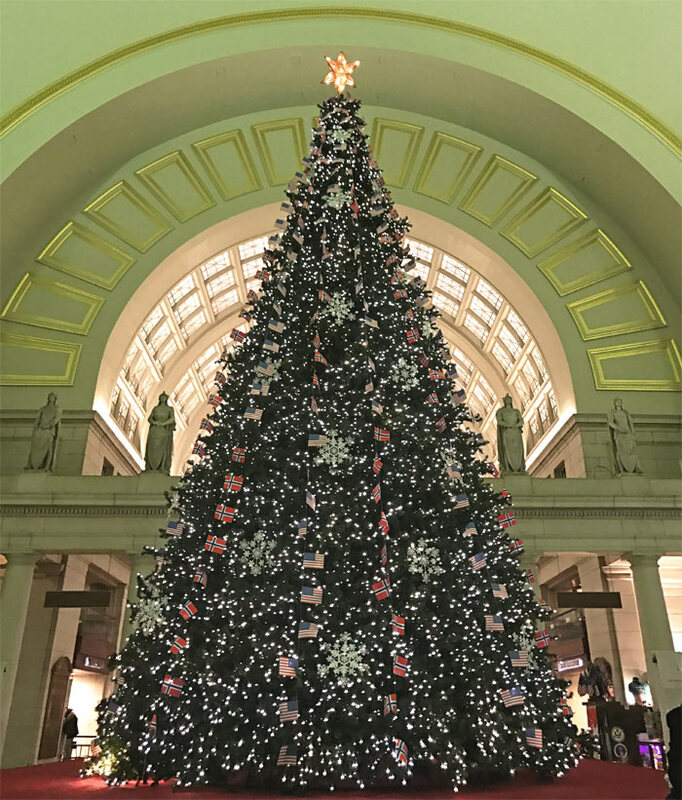 Washington, DC’s transportation hub comes alive this time of year, and traditions are plentiful. 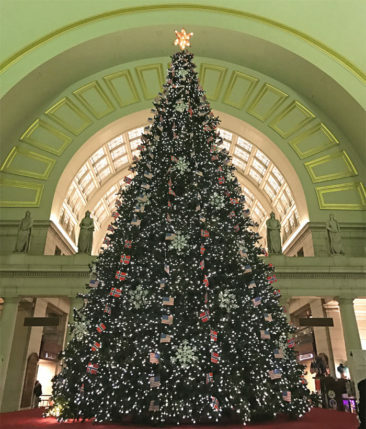 At the center of it all is a 30-foot tall Christmas tree, a gift from Norway as a symbol of the friendship between the two countries and gratitude for the USA’s assistance during and after World War II. 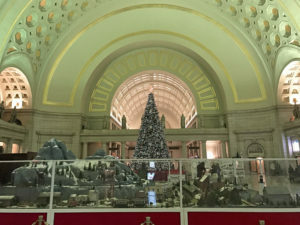 In addition to the tree, a special train exhibit in the West Hall depicts the Norwegian fjords and features hand painted replicas of real trains. Union Station has a wide selection of shops and restaurants, but it’s also a common meeting place for many of the guided DC tour groups. 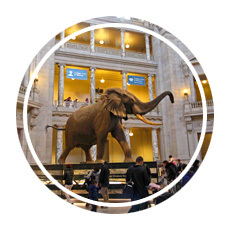 Be sure to visit the information desk to learn about the popular monument tours that depart from Union Station. 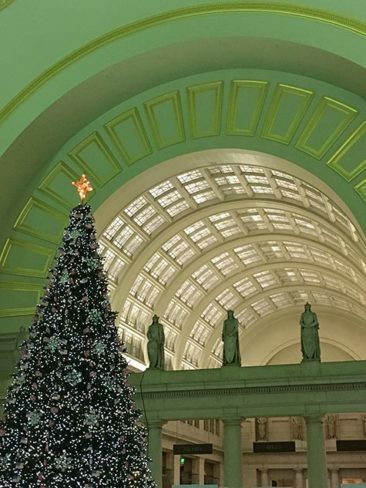 In addition to the shopping and dining options you’ll find—and the convenience if you are arriving into or departing from DC by train or bus—Union Station is a great stop! 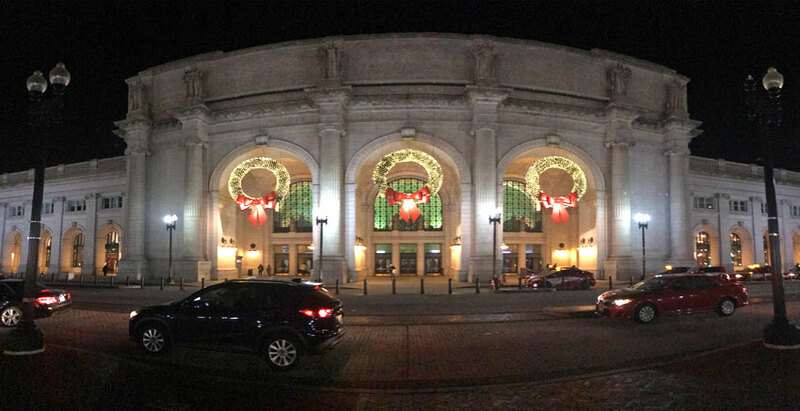 Don’t forget to check out the huge wreaths outside of Union Station before you leave. Winter wonderlands don’t get more real than this! 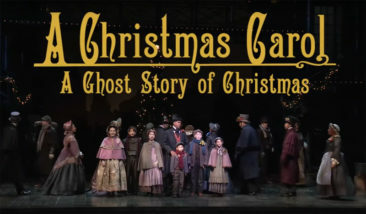 Each year, the Gaylord at National Harbor in Maryland hosts an unbelievable Christmas celebration. Among activities like gingerbread house making and scavenger hunts, visitors can experience a world made of more than two million pounds of ice—there’s even a two story ice slide! A special Christmas around the World celebration showcases traditions from around the globe, which is a wonderful way to learn (or combat homesickness if you’re visiting from overseas!). While the attraction is closed on Christmas Eve and Christmas Day, it is opened every other day through New Years. 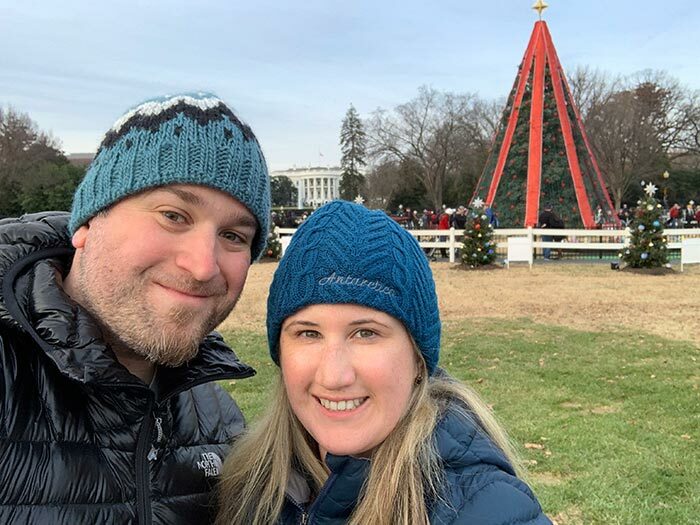 Washington, DC is a fantastic place to spend the holidays. 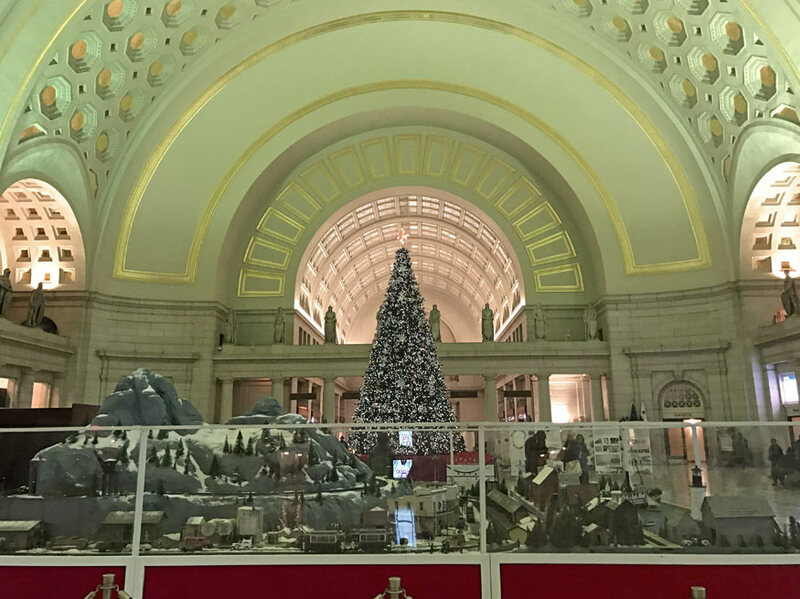 If you’re thinking of traveling for the holidays or visiting friends or family in the Washington, DC metropolitan area, putting together a seasonally-inspired itinerary for the whole family will be an easy task. Whatever you do or wherever your travels take you, we hope you are having a wonderful, safe holiday season! 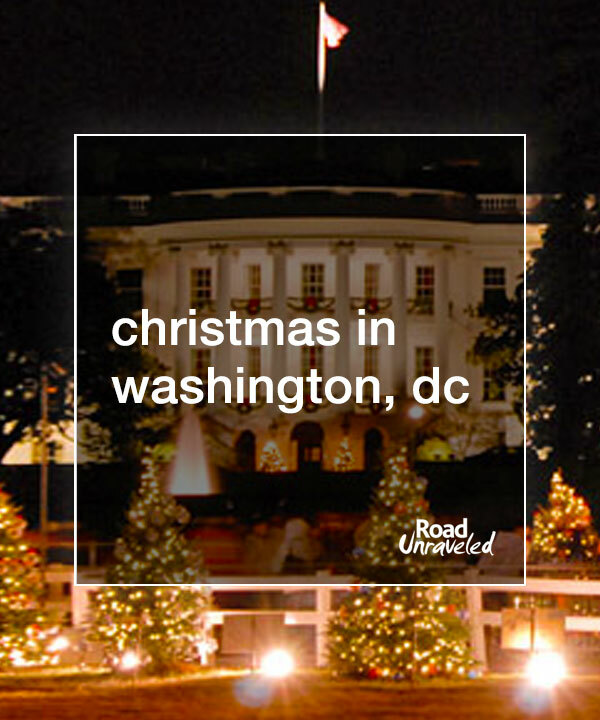 Do you have additional recommendations for fun Washington, DC Christmas places or events? Leave a comment below and let us know what you think!